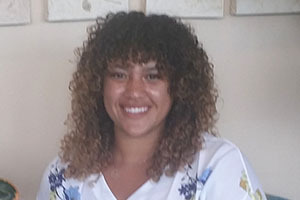 November 13, 2018 Rhetoric studies major Kendra Winchester ’18 will present the findings of her thesis project on November 13, 2018 in Olin 129. She will discuss how histories of medicalization and race in America impact ongoing policy, law and social discourses for black communities. November 12, 2018 The Whitman College Board of Trustees has voted unanimously to begin the process of reducing investment in fossil fuels as part of a comprehensive commitment to sustainability. November 9, 2018 Journalist Nathan Jeffay has reported from the front lines of the Israeli-Arab conflict, a region fraught with political and religious unrest. But the lessons he has learned there have given him invaluable experience about the paradoxical sides of humanity. November 8, 2018 Wine is more than bouquet, color and flavor. Inside every bottle there's also science, history and marketing myths, according to journalist and author Kevin Begos. November 8, 2018 When incorporated into one's daily routine, meditation can boost energy and mental focus, reduce anxiety, strengthen the immune system and ensure more restorative sleep - the very keys college students need to succeed. November 2, 2018 Whitman College students, faculty and community members participated in the 2018 Dio de los Muertos Festival in downtown Walla Walla. November 1, 2018 Dorothy Mukasa ’19 and Esther Ra ’19 are not only roommates and friends, they’re also the creative minds behind this year’s Freedom Songs concert and zine. Both venues — onstage and in print — provide safe spaces for Whitties to voice their thoughts on issues of race, privilege and different forms of oppression. October 31, 2018 Whitman alumna Ashley Trout '03 has been a winemaker in the Walla Walla Valley for nearly half of her life. Starting her journey in the wine industry just a week into her college career, Trout talks about what she learned from Whitman during her time on campus and her journey to starting Vital Wines and Brook and Bull Cellars. October 29, 2018 What can dogs, dolphins and sea lions teach us about the human brain? More than you might think, according to research by Peter Cook, a psychology professor at New College of Florida. 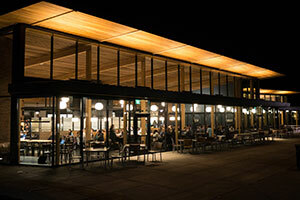 October 29, 2018 Cleveland Commons, the new 500-seat dining hall on the campus of Whitman College, opened its doors Monday, Oct. 29, 2018. 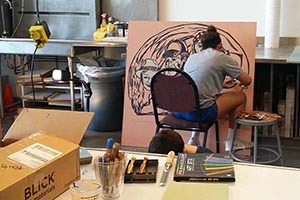 Featuring a marketplace layout and globally inspired menu, Cleveland Commons provides an ultra-modern food court environment for Whitman students, faculty, staff and the surrounding Walla Walla community. October 26, 2018 Comic books can have many benefits for improving children’s literacy and identity, according to Andréa Gilroy, a Pro Tempore instructor from the University of Oregon. October 24, 2018 On Thursday, Oct. 18, 2018, Whitman College hosted Science Night at Berney Elementary as part of the college's Science Outreach program. Science stations were led by Whitman students and Berney volunteers and engaged the students with STEM principles. 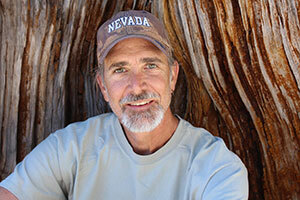 October 19, 2018 Writer, humorist, environmentalist and self-described “desert rat” Michael Branch has been invited to Whitman to read excerpts from his latest book “How to Cuss in Western: And Other Missives from the High Desert” released by Shambhala/Roost Books. October 15, 2018 Award-winning independent journalist and author Todd Miller visits Whitman as part of the 2018-2019 Henry M. Jackson lecture in international relations, and discusses his book Storming the Wall: Climate Change, Migration and Homeland Security.